Adegbite Afeez Olanrewaju Olamilekan also known as Pablow is an 18-year-old singer; he carry out RnB, hip-hop, dance and Afrobeat. Pablow begin singing at a tender age of 11 & he is presently signed under Madeline Entertainment. 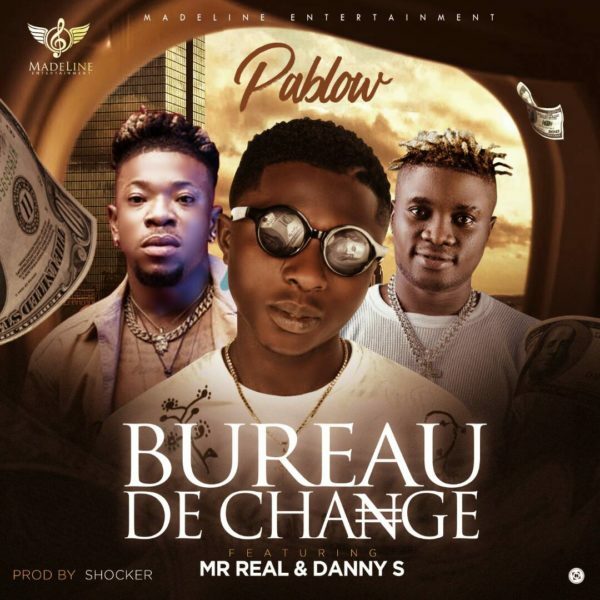 He released his first single under the label with “Bureau De Change” featuring Mr Real & Danny S. The Song was produced and mastered by Shocker. It’s a Shaku Shaku contaminate song & it’s as a result of it’s trending prowess. This one will certainly become a STREET ANTHEM if it storm the street. Listen and download and enjoy below!